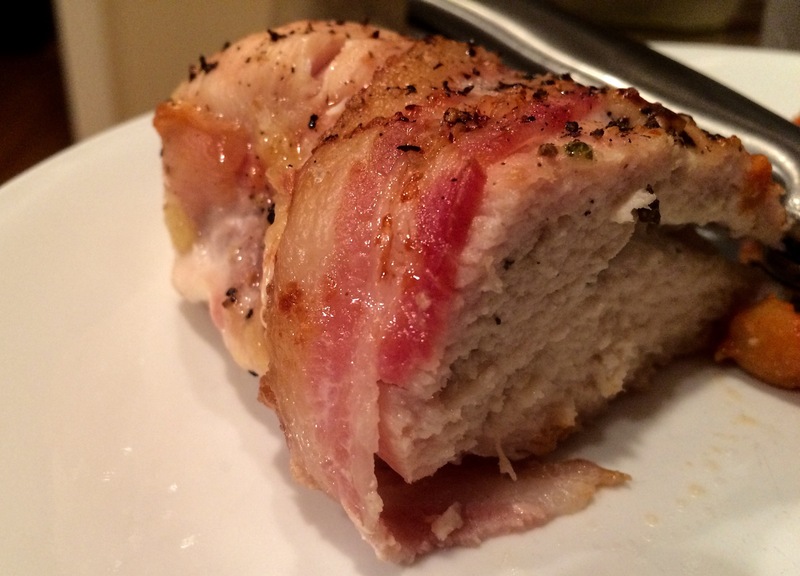 One of our favorite meals when we are in a hurry has to be bacon wrapped chicken. You only need a few ingredients and it is sure to impress if you have last-minute dinner guests. If the bacon has not crisped to your liking, place under broiler for 1 minute. If not crisped, keep chicken under broiler and check every 30 seconds. Serve with your favorite side dish and a glass of white wine!